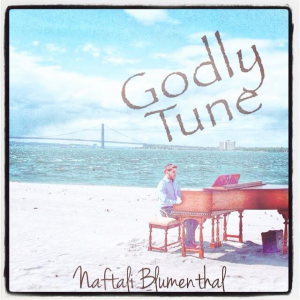 Just four months ago, Naftali Blumenthal, a young new singer and songwriter, released his debut single titled ”S.O.S. (source of strength)” with a beautiful music video. The song reached deep down inside the viewer/listener and grabbed them, showing them that this new artist had both the chops and composition to make a name for himself. Now Naftali is back with a new song and music video. The song, “Godly Tune”, is about being in a world full of constant confusion and therefore is easy to think that all isn’t for the best. However one must remember that we are in G-d’s world and even if we can’t see it, all is for the good. The new song was written, played by, and composed by Naftali himself. Naftali teamed up with producer Jake Antelis, who arranged and produced the song. The song is accompanied by a beautiful music video with gorgeous scenery of g-d’s creations; and of course Blumenthal at the keys. Godly Tune will be available online for digital download on iTunes, Amazon Music, Mostly Music and Spotify.